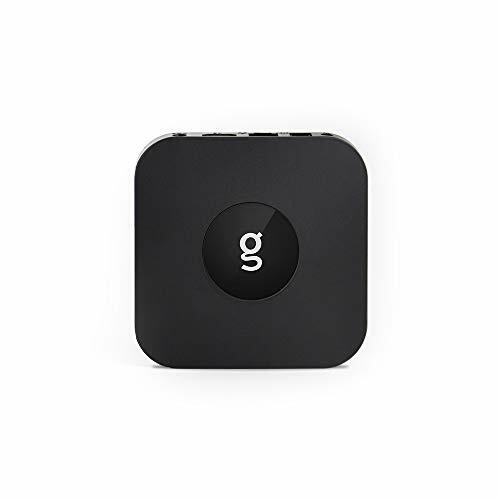 G-Box Q3 Plus TV Box (Android Nougat 7.1.2) Set-Top Box 4K/HD Media Player with WiFi/Ethernet, HDMI/USB/SD [Quad/Octo-Core 2GB/16GB] IR Remote Included by Matricom at Andy Pemberton. Hurry! Limited time offer. Offer valid only while supplies last. Matricom introduces a new product to its line of streaming devices, the G-Box Q3 Plus. It's built with better and stronger components inside and out. Matricom introduces a new product to its line of streaming devices, the G-Box Q3 Plus. It's built with better and stronger components inside and out. On the inside, its made with high quality components for a longer product life and better performance. On the outside, a new slim design that is ergonomic and compact. What hasn't changed are the features that you know and love. The G-Box Q3 Plus harnesses the power of Android Nougat 7.1.2 to turn any Tv into a smart one. It's easy to set up. Simply plug it in and start streaming movies, TV, and listening to music. Use the Matricom Store to find even more of your favorite fitness, lifestyle, or shopping apps. The G-Box Q3 Plus's easy to navigate user-interface lets you organize and find the apps you want to use intuitively and effortlessly. The launcher categorizes your apps into individual pre-loaded sections and saves your most used apps to the home screen. USER FRIENDLY INTERFACE: Organize and find the apps you want to use intuitively and effortlessly with the Q3's custom launcher. It categorizes your apps into individual pre-loaded sections and saves your most used apps to the home screen. UNLIMITED STREAMING: Stream thousands of movies and TV shows from your favorite sources like Netflix, Hulu Plus, YouTube, Amazon Prime Video and more. Live stream tv, news, games in full HD with smooth and vivid playback in 3D and 4K quality. US BASED TECH SUPPORT Matricom provides a 1-year warranty and is backed by United States customer support. Reach out to a tech support specialist who can assist you live on the phone to resolve any issues. NEW LOOK, BETTER COMPONENTS. The G-Box Q3 Plus is made with better quality components for a longer product life and better performance. All packaged into a smaller and sleeker box with a matte black finish. PLAY THE HITS. The Q3 Plus already comes preloaded with a number of music apps like Pandora and Spotify. Download any of your favorite music apps to get your collection started. *Subscription may be required. If you have any questions about this product by Matricom, contact us by completing and submitting the form below. If you are looking for a specif part number, please include it with your message.